Hello everyone , warm welcome visit our website . 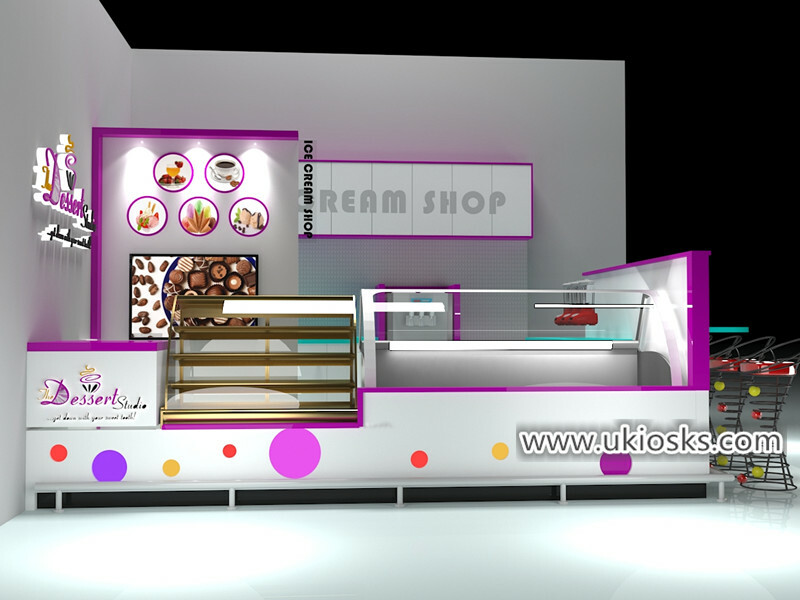 are you still looking for attractive mall ice cream shop design ? are you worry about can’t find a good supplier ? I am honored to share my thoughts with you here .i have to say today i gonna introduce a popular ice cream shop for your meet , is very eye-catching , is very colorful and bright . let me show more details for your below . pls allow me show more details . 1. Introduce this ice cream shop for your meet . I guess you’ll love it at first sight , isn’t it ? whole shop using elegance white for mainly tone , match noble purple and blue . 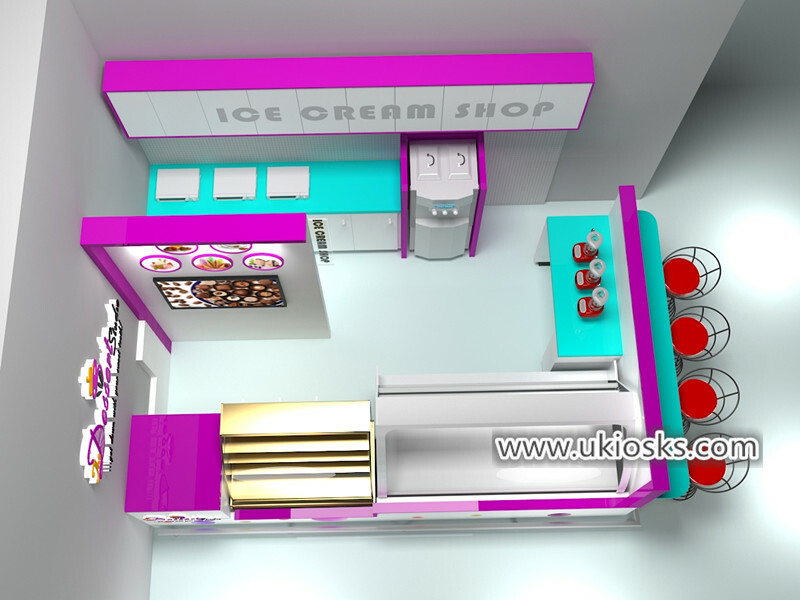 whole shop size is 4m length by 3m width , mainly for selling ice cream and dessert . 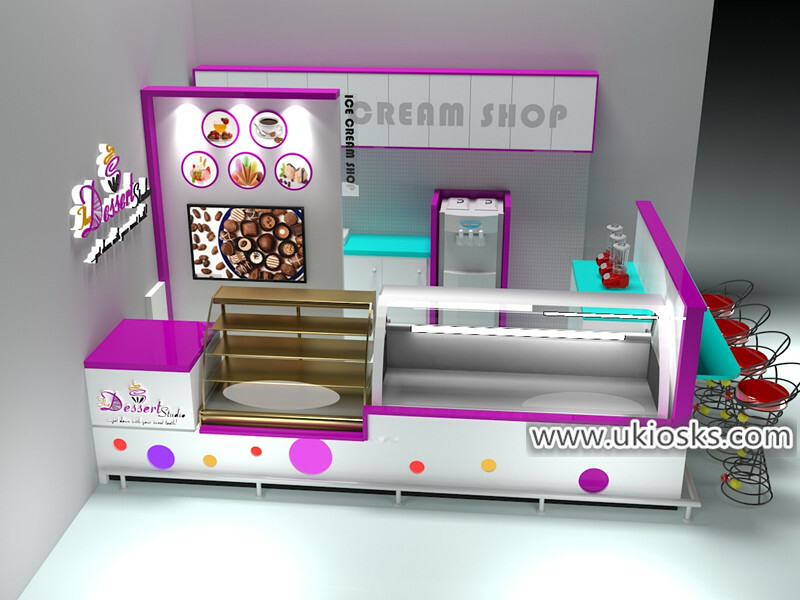 you will notice the fount of this shop with a ice cream display fridge and a dessert display showcase , clients can direct Choose different flavors and varieties . Did you see the brand logo and think it lovery and vividness ? The service project of the whole store was demonstrated by combining pictures and text , you can see ” dessert ” letter and a coffee cup shape . I have to say it’s a good logo. Item name : ice cream shop . Size : 4000X3000mm or customized . Color : white , purle , blue . Surface : baking painting & 2PAC paint . 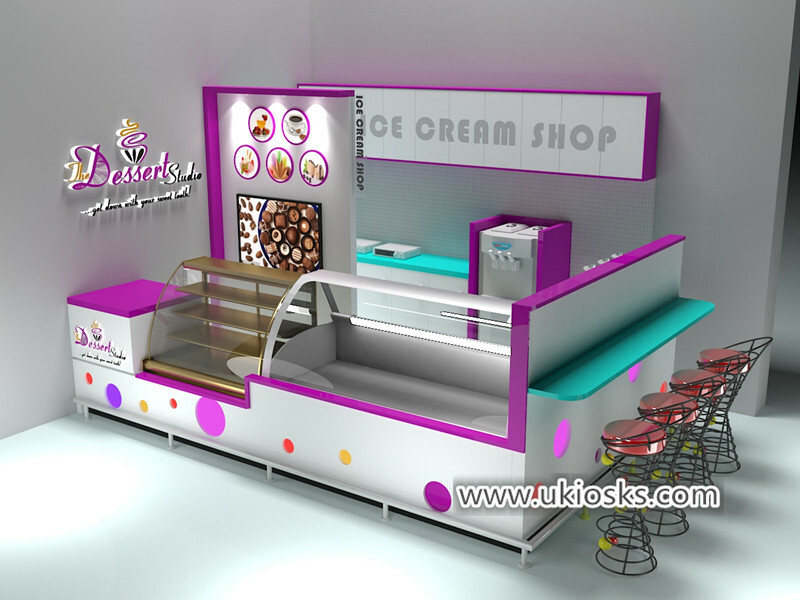 Equipment : dessert display showcase , ice cream machine, soft ice cream display fridge . Accessories : bar chair , light box , acrylic logo . led light . Assemble this yogurt counter is very easy and fast . It can be assembled quickly even without any experience . before we production this kiosk . make construction plan . you can see this kiosk will be cut to some reasonable part . put an ordinal on it , like 1, 2 , 3 , 4 …. when you received the kiosk . you just need put each part together and connect the wire is ok .
As a direct supplier , we can design and customized depend on personal requirement , of course , we also will give you some professional suggestion .In the beginning , start a small mall nail kiosk is a good choise . It doesn’t cost much but can bright good earnings . Thanks for your time and reading , if you need more further info about this ice cream shop, pls feel free to contact us , thank you !